If you’ve recently made the jump from Evernote to OneNote Migrating From Evernote to OneNote? Everything You Need to Know! Migrating From Evernote to OneNote? Everything You Need to Know! OneNote is one of the best alternatives to Evernote and it's free. We'll show you how OneNote is different and show you the tools to migrate smoothly. 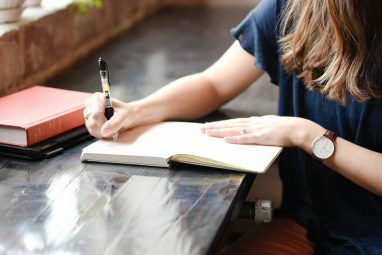 Read More , or you fancy organizing your life with a cloud-based note-taking app The Best Alternatives to Evernote You Need Today The Best Alternatives to Evernote You Need Today Has Evernote's recent price increase and two-device restriction for the free plan disturbed your note-taking workflow? Then, it's time to take another look at some of the best Evernote alternatives. Read More for the first time, there is a chance you’re feeling a bit overwhelmed right now. OneNote and Evernote have some key differences Evernote vs. OneNote: Which Note-Taking App Is Right for You? Evernote vs. OneNote: Which Note-Taking App Is Right for You? Evernote and OneNote are amazing note-taking apps. It's hard to pick between the two. We compared everything from interface to note organization to help you choose. What works best for you? 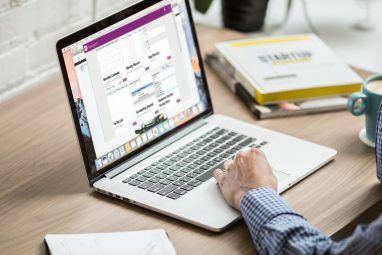 Read More that can be jarring to first time users, while for complete novices the OneNote interface can appear confusing. I’m not here to say which is the best option or run through OneNote’s basic features OneNote Is Now Truly Free With More Features Than Before OneNote Is Now Truly Free With More Features Than Before Evernote no longer rules the roost of note taking apps. Microsoft recently announced OneNote would be more free than ever before. Let us show you what this means in terms of features and functionality. Read More . 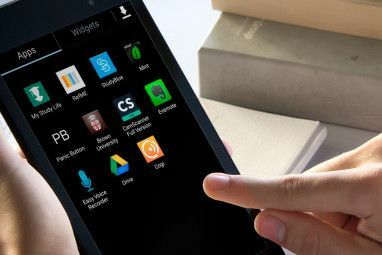 Rather, this article takes a look at some tips and tricks that first-time users might not be aware of. I’ve split it into two parts: Firstly, some basic tricks that’ll be useful to all new users, and secondly, a quick summary of how to do some things in OneNote that you probably knew how to do in Evernote. Here are five cool tips and tricks to get you started. From creating budgets 7 Useful Excel Sheets to Instantly Improve Your Family's Budget 7 Useful Excel Sheets to Instantly Improve Your Family's Budget It's not always easy to set up a family budget, but these seven templates will give you the structure you need to get started. Read More to managing databases, Microsoft Excel can be used in lots of useful ways. However, if you’re an Excel power user, it can be frustrating to be constantly dipping in and out of different files. The solution? Embed the spreadsheets directly into OneNote and edit them from within the app. Navigate to the page where you want to embed your sheet, then click Insert > Spreadsheet > Existing Excel Spreadsheet. Select the file you want to embed and you’ll then be given three choices – Attach File, Insert Spreadsheet, and Insert a Chart or Table. Choosing Attach File will create a link to a copy of the sheet that’ll be saved within your OneNote folder. Selecting Insert Spreadsheet will embed an editable version of the spreadsheet, and finally, clicking Insert a Chart or Table lets you choose which pages to include from your workbook. Note: This feature extends to other non-Excel files, but they can only be attached, not edited. One of the most underused OneNote features 7 Little-Known OneNote Features You Will Love 7 Little-Known OneNote Features You Will Love OneNote is 100% free and packed full of advanced features. Let's check out some of the ones you may have missed. If you're not yet using OneNote, these may win you over. Read More – even by long-term users – is its Quick Note function. You can dock them to your screen so they are always visible. This feature is really useful if you’re trying to take notes while on a conference call or want to jot down ideas as you work in other apps. Highlight the note you want to pin then click View > Always on Top. You can drag-and-drop important quick notes into your other notebooks. To access all your quick notes, click on the link at the bottom of your notebook list. Windows 10’s calculator app 9 Neglected Windows Calculator Features to Save Your Day (and Money) 9 Neglected Windows Calculator Features to Save Your Day (and Money) The classic Windows Calculator contains many overlooked features. We bring them to light and show you how you can use this app to do math faster, process unusual calculations, and save money. Read More has come in for some criticism since launch; it’s not as snappy or responsive as older versions. Luckily, you and ditch it and perform all your calculations from within OneNote. Type out the equation you want and hit Enter – the result will be automatically added to the end of your sum. Like Evernote, OneNote comes complete with a web clipper. But did you know it can also take screen clips? As long as the app is running in the background, you can press Windows key + Shift + S to activate the tool. Drag the cursor over the area of the screen you want to clip, then select when you want to save the note from within the pop-up window. There are lots of reason why you want to create a wiki How to Create a Personal Wiki Using Microsoft OneNote How to Create a Personal Wiki Using Microsoft OneNote A wiki is a great way to store and share large amounts of information. Here's how easy it is to create a wiki with OneNote. Read More ; maybe you’re working on a large project and want to add easy links to lots of different lists and ideas, perhaps you want to create your own personal life log 20+ Fun Ways to Start a Lifelog in 2016 20+ Fun Ways to Start a Lifelog in 2016 There are more ways than ever to start lifelogging in 2016, so we take a look at some of the best apps, services, and gadgets that can help you. Read More , or maybe you want to create a table of contents for a particular notebook. You can also create a link by right-clicking on a page, selecting Copy Link to Page, and pasting it into a notepad. You can even edit the link’s anchor text. Right-click on it and go to Edit Link. Here are three more tips specifically for users who’ve made the leap from Evernote. Just like Evernote, OneNote lets you email notes to yourself. However, unlike Evernote, you are not given a personalized random-string email address. Instead, you need to add the email accounts you want to send from to your OneNote account. It’s easy to do – just visit OneNote.com/EmailSettings in your browser. Any Microsoft email addresses you own (such as @outlook.com, @hotmail.com, and @live.com) will be automatically displayed. To add a non-Microsoft email, click Add Another Address. Once they’re all set up, any emails you send to me@onenote.com will be automatically saved into the app. Natively, OneNote will only let you sort notes by last modified, author, title, and section. There is currently no way to sort by date created. To sort by last modified, go to History > Recent Edits > All Pages Sorted by Date and change the drop-down menu to Search All Notebooks. If you want additional sorting tools, check out the Onetastic plug-in. The developer is Omer Atay, who is part of the OneNote team, but it’s released as his own work. In addition to advanced sorting tools, it boasts a ton of useful extra features such as a favorites page, image editing tools, and shared calendars. Tagging is a great way to manage notes across multiple notebooks. It makes searching for related topics much easier. However, it works very differently in OneNote compared to Evernote. In the latter, you can free-type whatever tags you want for each note. In OneNote, you have to create and edit them separately before applying them to notes individually. This method has benefits – they’re much easier to keep under control and manage, but it might be confusing for new converts. The app offers several default tags, or you can create your own. To add a tag, highlight the note you want and go to Home > Tags. To make your own, expand the tag list and click Customize > New Tag. If you find Microsoft’s default tags annoying, you can delete them. Once again, head to Customize, then highlight the tag you want to remove, and click the cross icon. Lastly, to find your tags just navigate to Home > Find Tags. You will be presented with a summary of everything you’ve tagged. These eight tips are just a starting point. 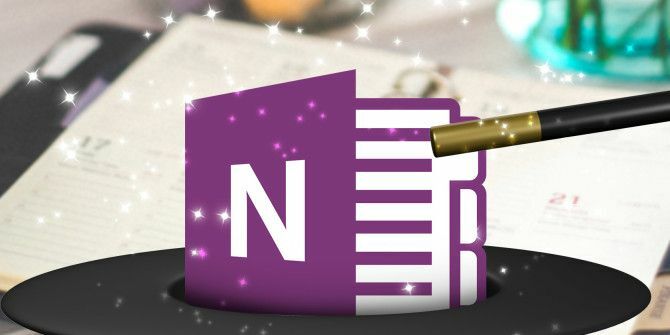 There are thousands of tips and tricks hidden away within the software – you could even make a strong case for calling OneNote the most powerful app in the Microsoft Office suite. If you’re a new arrival from Evernote, or you’re just getting to grips with note-taking apps for the first time, I’d love to hear from you. What do you like? What frustrates you? And what are you struggling with? Let me know and I’ll see if I can help. Explore more about: Evernote, Microsoft OneNote, Note-Taking Apps, Productivity. Is there anyway to make a second list of tags? I don't want to change the tags I had for my 2016 notebook, but I am moving into a 2017 notebook and I want to use the same symbols? Any work-around? The million dollar question for those converting from Evernote. What will you do when Microsoft makes OneNote a subscription service? Not going to happen. Microsoft has a deep commitment to keeping OneNote FREE. Invaluable tool in Education. Yes, sadly the Mac version is very limited. Hmm I tried Win+N and nothing happens. Works fine here. Windows 10, OneNote desktop application. Are you on a different version of Windows or did you install the Windows Store OneNote app maybe?